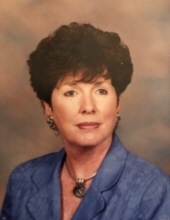 Hannah Lee Gilbert Skinner, 75, wife of Asa Pinckney Skinner, III, passed away Thursday, March 28, 2019, following a lengthy illness. Hannah was born in Florence on March 25, 1944, the daughter of the late Herbert McTyeire Gilbert and Hannah McCutchen Gilbert. She grew up in Florence and graduated from McClenaghan High School and attended Spartanburg College. She was a previous member of Central United Methodist Church for over fifty years and was a member of Georgetown Presbyterian Church. Hannah volunteered over the years for the Crisis Hot Line, Guardian ad Litem and as a McLeod Hospice volunteer. She was a compassionate and loving person to all and had a special love for cats and dogs, many being rescued and adopted. Cooking also gave her great joy. She co-edited the “Taste of Belle Isle” cookbook using recipes from friends and neighbors within the Belle Isle community she lived in and loved so much. Winyah Bay and Pawleys Island were special places shared with friends and family for many years. Surviving are, her husband of Georgetown; a son, Edward Pinckney Skinner of Myrtle Beach; and a daughter, Emma Gilbert Skinner of Georgetown. Memorial Services will be Wednesday, April 3, 2019, at Georgetown Presbyterian Church at eleven a.m. Officiating will be the Rev. Dr. Cory Ingold and the Rev. Dr. William Puckett. The family will receive friends at a reception in the church social hall following the service. To send flowers or a remembrance gift to the family of Hannah Lee Skinner, please visit our Tribute Store. "Email Address" would like to share the life celebration of Hannah Lee Skinner. Click on the "link" to go to share a favorite memory or leave a condolence message for the family.